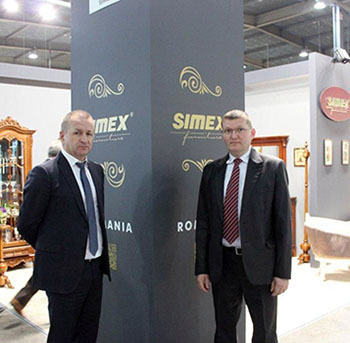 SIMEX a primit Diploma de Excelenta pentru cea mai buna prezentare de mobila la Expozitia Internationala de Mobila Kiev. That will be the finish of this article. Right here you will obtain some internet sites that we feel youll enjoy, just click the hyperlinks. Here are some links to sites that we link to due to the fact we think they’re really worth visiting. Just beneath, are a lot of absolutely not associated web web sites to ours, even so, they might be surely actually well worth going in excess of. Correct now it seems to be like Movable Type is the prime running a blog system out there proper now. (from what I have read) Is that what you are using on your weblog? Cheers. Quite a lot of material. Proper now it seems to be like Movable Sort is the top running a blog system out there appropriate now. (from what I have read through) Is that what you are employing on your blog? Thanks once again for the blog submit.Actually thank you! Wonderful. Quite! This has been a genuinely great report. Many thanks for providing this details. Very good way of describing, and fastidious post to get data about my presentation topic subject, which i am heading to express in college. It’s going to be end of mine day, even so ahead of finish I am reading through this wonderful publish to enhance my experience.